What does that mean? In the homeschool world, it means we get to open our HUGE box of homeschool curriculum! Although we have homeschooled for 7 years, we have never had an official ‘box day’ as I have always pieced our curriculum together. 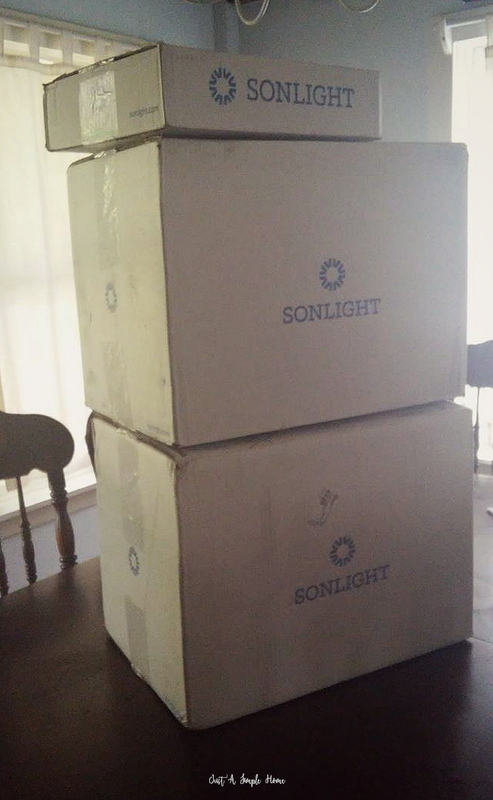 So, today is our very first Sonlight box day and the kids couldn’t be more excited. We are so thankful to Sonlight for graciously giving us one all-subject package and I will be sharing our journey throughout the upcoming school year as a Sonlight Ambassador! TO CHECK OUT THE VIDEO, CLICK BELOW OR VISIT HERE! To check out more info about Sonlight you can visit here! *You can receive a $5 discount on your first order of $50 or more… use this referral code: TW20444018. Disclaimer: Sonlight provided me with one all-subject package but not all of the homeschool curriculum or products you’ll see in my videos this year are provided to me. As always, my opinions are my own and I will always be honest with you. Box day and getting to look at all the materials sounds so fun, I always loved going to get my new books and supplies for school. What a fun exciting day! Congrats on being a Sonlight Ambassador. I so enjoy their catalogue and recommendations every year. You will absolutely LOVE journeying with Sonlight! I’m a picker-and-chooser also, but I definitely incorporate as much of Sonlight as I can because they are such a solid and fantastic classical choice! Happy Learning! p.s. the girls are beyond adorable, so sweet and polite, you are so blessed <3.